Smells have the ability to bring back vivid memories. Smells are linked to remembering people, places, and much more. Enjoying and liking certain smells has been related to their personality and emotional state. It has been investigated and learned that what smells people enjoy is linked to what mood and emotion they were currently feeling. This is very interesting to me and that is why I chose this topic. A smell is so much more than fragrance or aroma, it is a sense. Since we learn the majority of our smells as a kid, they usually bring back childhood memories. This is why when we smell something familiar it "takes us back". Smelling a perfume or cologne can also bring back memories of a certain person and your past relationship. 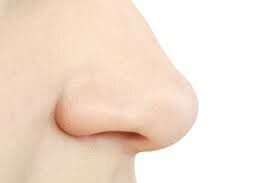 Because the brain is so closely linked to the sense of smell, it is one of the strongest senses. An experiment published in "Journal Nature" put mice in an observation area, induced the smell of food and provided that food. Later, after conditioning the mice they induced the same smell and restricted the food. The product was the mouse frantically looking for the food, all because of it's smell memory. "The sensory cortex of the brain receives and interprets signals from our eyes, nose, ears, mouth and skin. The sensory cortex is divided into the primary and secondary cortex. The secondary sensory cortex is responsible for processing more complex information about a stimulus, such as distinguishing between different musical tones."